Korianna Champagne started working at World Academy in March 2019. 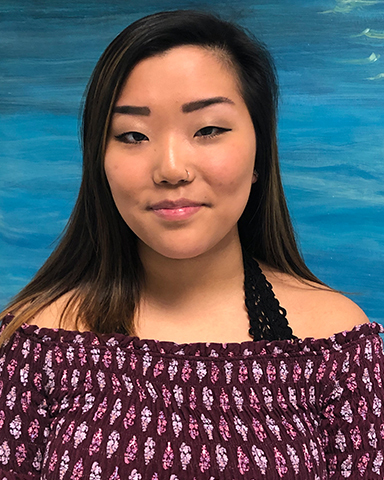 She is a senior at Nashua High School South and her goal is to attend Rivier University where she’s been accepted with a scholarship this upcoming fall to major in Early Childhood Education. She completed the two year child program at Nashua South, became an intern for Panther Preschool in her junior year, and was recently Assistant Teacher Qualified at her most recent job, Nature’s Pathways Child Center. Korianna grew up in Nashua, NH where she lives with her parents and older brother. She enjoys hanging out with her friends, shopping, spending time with family, going to the beach over the summer, and most of all she’s a coffee lover! Korianna believes that all children deserve to build amazing memories while they grow physically, socially, and emotionally. She believes her job as an educator is to make sure children always feel safe, have a positive learning experience that makes children happy to come to school every single day. Her goal is to help children build self confidence and independence so they can make new friends, build their trust, and set them up for success as they grow! Korianna joined the World Academy community in March 2019!